Drone’s can do almost anything now. I’ve seen drones catch people sunbathing on top of windmills, advertise clothes by hanging mannequins outside office windows, and shooting fireworks at Russian kids. 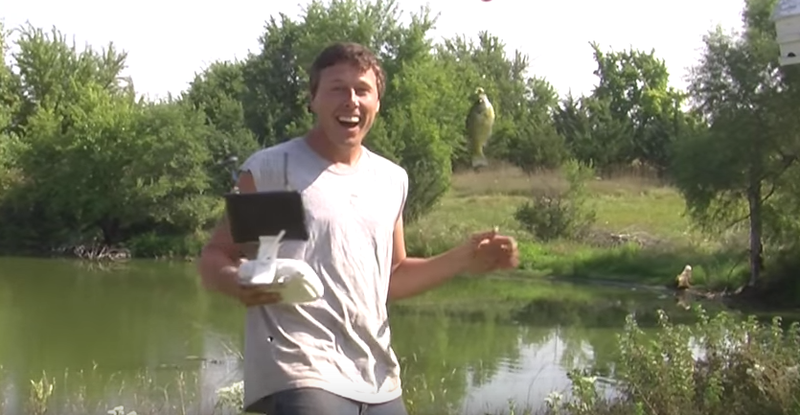 Farmer Derek took his drone fishing, and the result was surprisingly impressive! Lucky it was only a tiddler, anything too big and he’d be fishing his drone out of the water. I can’t even guess at what drone video footage we’ll see next.